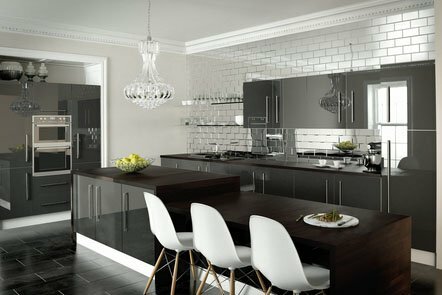 Here at Richfield’s Interiors we are experts at designing bespoke interiors including Bespoke Interior Kitchens and Bespoke Interior Bedrooms. We only use highly experienced and skilled designers and make extensive use of 3D CAD drawings to help our customers visualise, as best as possible, their dream interior. 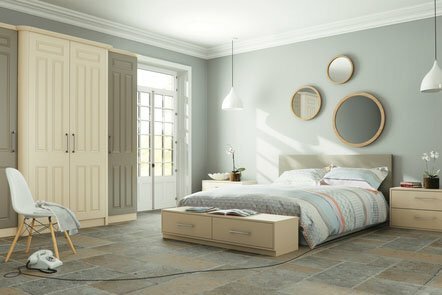 At Richfield's we give careful consideration to the details of each design we produce, to make sure that the customer gets exactly what they are after. Following an initial site visit we can put together a plan and provide a quotation within a week, depending on requirements. 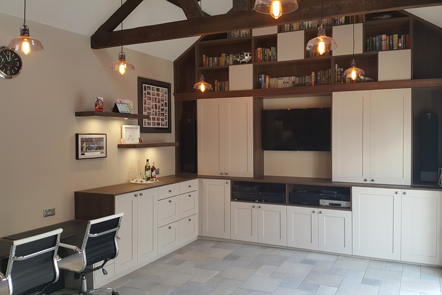 One of our expert designers will talk you through the plan and discuss any alterations you may require, as well as answer any questions you may have. Our aim is to provide and produce a design that's in harmony with its surroundings, ensuring both a functional and beautiful to look with attention paid to the smallest detail. We have a wide range of storage solutions available, specialized pull-out systems and inserts. These can be fitted to our cabinets and drawers, utilizing the space available, while keeping everything fully accessible to the user. At Richfield's we offer our customers a complete service. We design, we manufacture, and we install. Our friendly, professional team takes care of all your requirements.